The Insider Monkey team has completed processing the quarterly 13F filings for the September quarter submitted by the hedge funds and other money managers included in our extensive database. Most hedge funds have been producing disappointing net returns in recent years, however that was partly due to the poor performance of small-cap stocks in general. Well, small-cap stocks finally turned the corner and have been beating the large-cap stocks by more than 10 percentage points over the last 5 months.This means the relevancy of hedge funds’ public filings became inarguable, as they may reveal numerous high-potential stocks. 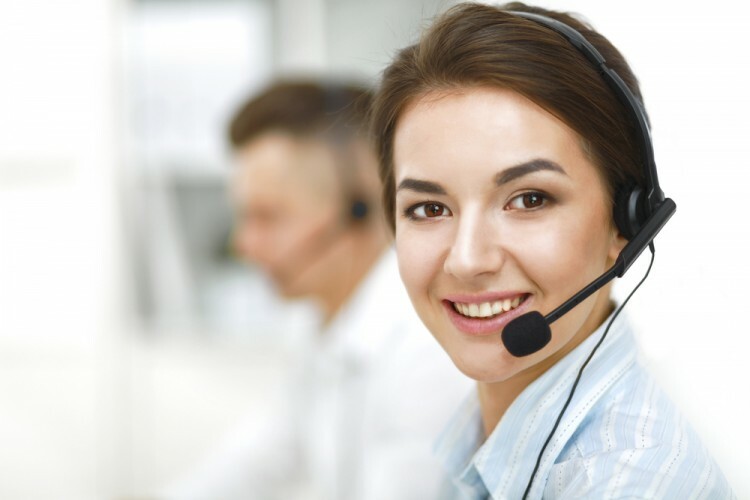 The following article will discuss the smart money sentiment towards Convergys Corporation (NYSE:CVG). So, is Convergys Corporation (NYSE:CVG) a buy here? It looks like prominent investors are becoming less confident, as the number of bullish hedge fund bets retreated by five between July and September. In this way, 16 funds tracked by Insider Monkey held shares of CVG at the end of September. At the end of this article we will also compare CVG to other stocks including Tootsie Roll Industries, Inc. (NYSE:TR), SouFun Holdings Limited (ADR) (NYSE:SFUN), and BGC Partners, Inc. (NASDAQ:BGCP) to get a better sense of its popularity. Keeping this in mind, let’s take a look at the fresh action regarding Convergys Corporation (NYSE:CVG). At the end of the third quarter, a total of 16 of the hedge funds tracked by Insider Monkey were bullish on this stock, down by 24% from the previous quarter. 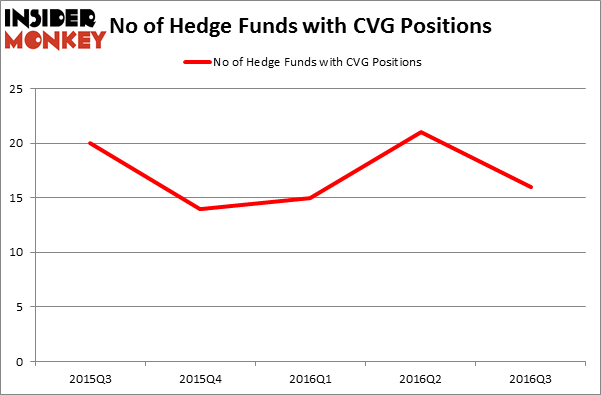 Below, you can check out the change in hedge fund sentiment towards CVG over the last 5 quarters. With hedge funds’ positions undergoing their usual ebb and flow, there exists a select group of noteworthy hedge fund managers who were boosting their stakes substantially (or already accumulated large positions). According to Insider Monkey’s hedge fund database, Cliff Asness’ AQR Capital Management holds the biggest position in Convergys Corporation (NYSE:CVG), having reported a $63.8 million position in the stock. The second largest stake is held by Amy Minella’s Cardinal Capital holding a $20.5 million position; 1% of its 13F portfolio is allocated to the company. Remaining peers that are bullish comprise David E. Shaw’s D E Shaw, Joel Greenblatt’s Gotham Asset Management, and Peter Rathjens, Bruce Clarke and John Campbell’s Arrowstreet Capital. We should note that none of these hedge funds are among our list of the 100 best performing hedge funds which is based on the performance of their 13F long positions in non-microcap stocks. Is Cohu, Inc. (COHU) A Good Stock To Buy Right Now? Is Cryolife Inc (CRY) A Good Stock To Buy? Hedge Funds Are Selling Concordia International Corp (CXRX) Is Tobira Therapeutics Inc (TBRA) A Good Stock To Buy? Is Bottomline Technologies (EPAY) A Good Stock To Buy? Is 2U Inc (TWOU) A Good Stock To Buy?